Molly was my first dog. Today is her birthday. She would have been twelve. Here is the short version of Molly's story. My mom and her best friend, Mary had an agreement, "If anything ever happens to me, you'll take Molly, right?" Of course she would, but whenever you make an agreement like that, you never expect that you'll be taken up on it. It was the first week of March 2009. Mary had come down with the flu, my mom dropped medicine off to her on Saturday morning. On Tuesday morning, Mary didn't show up to work. When she didn't answer her phone, her co-workers thought they'd better drop by the house. It had recently snowed, and when they arrived, they noticed that the yard was void of footprints; the dog had not been let out. There was no answer at the door. The cops were called. Me and Molly looking at the ducks at the bay. When they found her, she was in her rocking chair, all of Molly's toy's piled in her lap. I heard that Mary had passed away on Saturday or Sunday, leaving poor Molly alone in the home for two to three days. Molly was a very smart, very modest, very particular dog. She had gotten into her dog food, and gone to the bathroom in the house, which, now that I know that dog, I'm sure were last resorts, as the thoughts of breaking into her food or making in the house were horrifying to her -- in addition to the fact that her master had passed away. I was sitting at my desk, tying bows onto Easter candy bags at work when the phone rang. When big, bad things happen, the exact words tend to become a blur, but she said something along the lines of "Mary died, when you get home, we will have a dog." What kind of a dog? "A black lab." Oh no. I was afraid of big dogs, and now there would be one living in my house. I got the news about Michelle's passing. When I got home and I saw that pup in my living room, it was love at first sight; I never once was afraid of her. We'd never had a dog, it was new of all of us, including Molly. She'd gone from living with one woman to a household of six, three of whom were men. Molly came into our lives when we needed her the most. My grandmother passed away a few months before, and then my mom had to deal with the loss of her best friend, and little did I know, less than a month later, my best friend would pass away unexpectedly. The night after Michelle died, Molly knew how sad I was, and even though we'd only had her for a month, she stayed by my side. Molly and I were best-human-dog friends. We had Molly for four great years. Unfortunately, we found out she had cancer in January of 2013. She lost her battle that April, less than two weeks after the four year anniversary of the loss of my best friend (April is a very bad month). 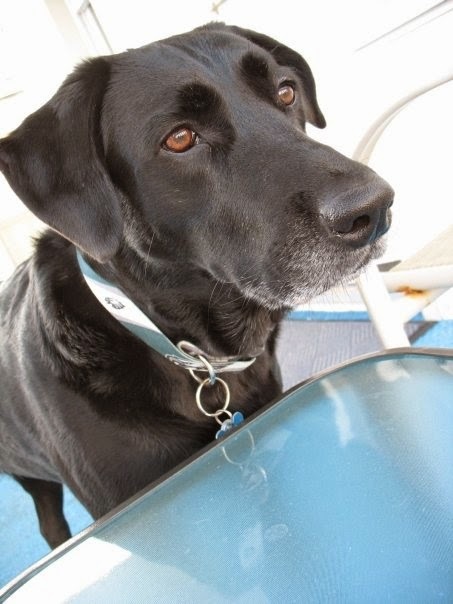 I still miss her all the time, it's funny how a dog becomes another member of your family, and how you miss them as much as you miss a person. Anyone who has ever loved a pet will understand. This is obviously just the tip of the iceberg on this story, but because it's Ms. Molly Girl's birthday, I just wanted to mention it. Happy Birthday, Molly Dog. I miss you little girl! What a beautiful story of companionship. They do come into our lives at just the right moment and steal our hearts. I love black labs and had to put mine down a few days before Thanksgiving. He was 15. Even so, it was traumatic for me. I am so sorry, that is so hard. Labs really are the best. I had a year like that... My mom passed, a few days after I came home from the funeral my mother in law passed, then our cat, then one of the girls in the scout troop. We got a new kitten just to bring some happiness into the house. I completely empathize with everything you shared!! Thanks for your comment! I am so sorry you had a year like that too. That's horrible. It always seems to hit all at once. Oh goodness, I can so relate! 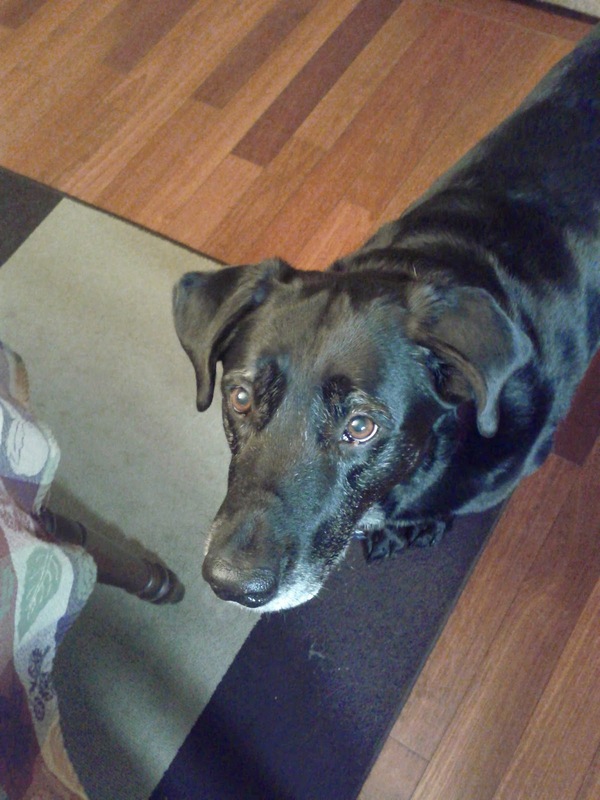 :-( We lost our 12 year canine companion, a black lab named Nikita, a couple years ago; we have since adopted two pups from shelters - one is a Plott hound and the newest one is another black lab. Thanks for sharing this sad yet beautiful story!